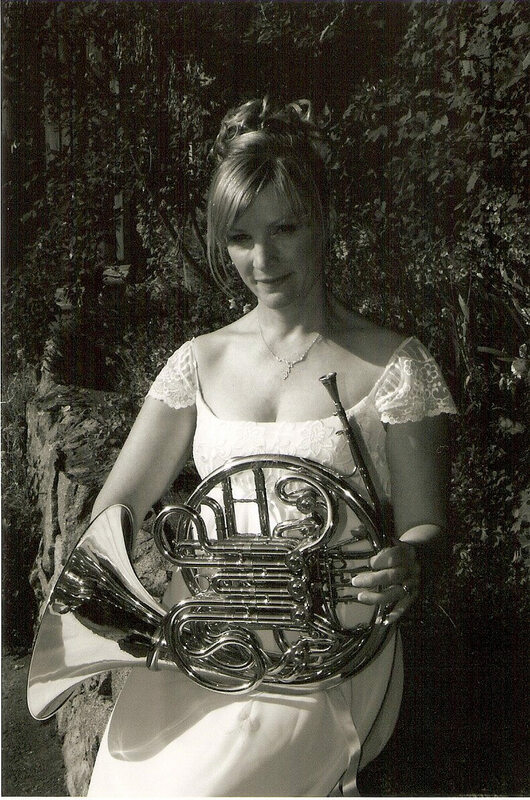 Born and raised on Vancouver Island, Karen studied French Horn with Richard Ely at the University of Victoria where she earned her Bachelor of Music degree. She then spent a year in the Orchestral Training Program at the Royal Conservatory in Toronto. She went on to Yale University where she received her Master of Music Degree and was the first French Horn player ever to receive Yale’s prestigious Artist’s Diploma. Karen was an “Artist in Residence” at the Banff Centre for the Arts for a year before embarking on a performance career in Toronto. She was principal Horn of the Toronto Sinfonietta as well as the North York Symphony. She also performed with many orchestras in and around the Toronto area including Orchestra London, the Hamilton Philharmonic, the Windsor Symphony, the National Ballet of Canada, Phantom of the Opera, Toronto Operetta Theatre, the Niagara Symphony as well as the Mississigua Sinfonia. Summer festivals Karen has attended have included the Los Angeles Philharmonic Institute, Kent/Blossom Festival, Aspen Music Festival, the Banff Summer Festivaland the Boris Brott Summer Music Festival. faculty of the Kamloops Interior Summer School of Music and the Pacific Coast School of Music. Karen relocated to the West Coast where she is a member of the Naden Band of the Royal Canadian Navy and the Vancouver Island Symphony. She also performs regularly with the Victoria Jazz Orchestra,(formerly the Monday Night Big Band), the Gilbert and Sullivan Society and various other shows.